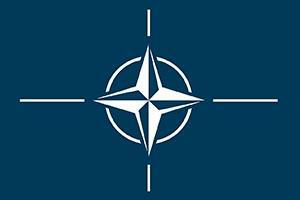 In ordinary times, North Atlantic Treaty Organization (NATO) summits are generally staid and well-prepared events that celebrate the achievements of this nearly 70-year-old political and military alliance of North American and European countries. US Secretary of Defense Jim Mattis is pushing for a plan that would enable NATO to deploy 30 land battalions, 30 air fighter squadrons, and 30 navy ships within 30 days of any threat in NATO territory. This would be an upgrade on NATO’s current capabilities and provide a more credible deterrence. But US President Donald Trump has been critical of NATO, calling members “free-riders” who do not spend enough on defense. And he has bickered with many of the United States’ closest allies, including Germany, Canada and France. The US president is a wild card who brings uncertainty to most any meeting he attends. Sometimes Trump charms his partners, as he did when French President Emmanuel Macron visited Washington, DC, in April. But at other world gatherings Trump has given tongue lashings to longtime American allies. All US presidents since NATO’s founding have expressed concerns about cost-sharing. But none have done so as bluntly or disdainfully as Trump does. For NATO’s European members, Russia is among the world’s most pressing security threats. Members are already concerned that Trump might do what he recently did with North Korea and make undue concessions to Russia – such as recognizing the annexation of Crimea or withdrawing US troops from Germany. Those concerns would be heightened if the summit fails. This article was written by Professors Garret Martin and Balazs Martonffy and originally published on The Conversation. Read the original article.